When you think of mistletoe, chances are the images you conjure up have to do with decorating for the winter holidays and stealing a kiss. But as heartwarming a symbol as mistletoe can be, it may prove to be much more valuable than simply a sprig to stand under for a smooch with a loved one. It turns out that research has found that mistletoe may be a complementary therapy for fighting colon cancer—and in fact, a number of other cancers as well. The study, conducted at the University of Adelaide in Australia, focused on a comparison of the abilities of three different forms of mistletoe extract and chemotherapy to treat colon cancer. In a laboratory, the scientists tested each type of mistletoe extract and the chemotherapy drugs on cancerous colon cells as well as healthy colon cells. Of the three mistletoe extracts analyzed, it was Fraxini--a form of mistletoe found on ash trees--that was most lethal to malignant cells. In fact, in this experiment, Fraxini was more effective at killing the cancer cells than the chemotherapy was. The Fraxini mistletoe extract was also determined to be much less harmful to healthy intestinal cells than the chemotherapy drugs, which is really no surprise. Anyone at all familiar with chemotherapy treatment is likely aware of just how sick it can make you, as it indiscriminately kills off all cells--healthy cells right along with the diseased ones. Some of the common side effects of chemotherapy used for colon cancer patients include sores forming in the mouth, nausea, diarrhea, rashes on the hands and feet, and hair loss. concentrations acted as a booster, increasing the effectiveness of the chemotherapy drugs in destroying the cancer cells. Or, even better, it may potentially be useful as a complementary therapy against colon cancer on its own, targeting the malignancies while leaving the healthy tissue for the most part undisturbed. That is, if the big pharmaceutical companies, their high-paid lobbyists, and government regulators don't get in the way. The same hurdles do not exist in Europe as they do in the United States and Australia, for that matter, where mistletoe is not widely used for treating any kind of cancer. Across parts of Europe, however, mistletoe extract is considered an accepted treatment, frequently employed to combat malignancies. In fact, many years ago, Jon Barron noted that mistletoe was a widespread cancer fighter in central Europe that is estimated to be incorporated into as many as 60 to 70 percent of cancer patients' therapies. There have been numerous studies in Europe, especially in Germany, that have reported the benefits of mistletoe extract in fighting several types of cancer, including pancreatic and breast cancer. A National Cancer Institute review of more than 16 studies of mistletoe's effect on cancer in humans found such results as tumor shrinkage, higher survival rates, improved blood counts, and better quality of life for the patients. One reason for this may be the fact that mistletoe is one of the great blood cleansing herbs that have been put to use in traditional medicine for thousands of years, dating as far back as the ancient Greeks and Druids. It is also a key component of Jon Barron's blood cleansing formula. 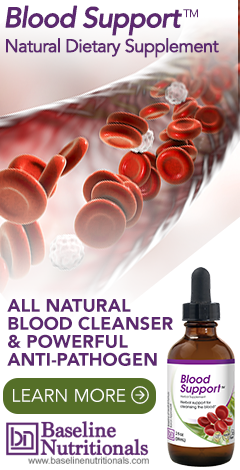 By removing toxic residues from your bloodstream and supporting your body's assault on malignant cells, a good blood cleansing formula can help your body resist cancer and tumor growth. Formulas containing several beneficial blood cleansing herbs working together may also be useful taken on an as needed basis to maintain optimal health or as part of your regular personal detox program. As a cancer treatment, mistletoe injections, which are widely used in Europe, are not approved in the United States. However diluted forms of mistletoe are available in liquid and capsule form. There are several side effects related to mistletoe so it’s best to consult a doctor regarding your options. More on natural healing herbs. Experientially, Mistletoe is effective in the treatment of Typhoid.